If you have trouble sleeping like I do, consider incorporating turmeric in your life. I work long hours and also have inflammation, which has lead me to find alternative ways to naturally take care of myself. I’ve known about this bright yellow root for some time now, but have just recently been eating this root on a consistent basis. Turmeric contains curcumin, which aids in inflammation, controls diabetes, improves digestion, detoxifies your liver, boosts your immune system and much more. Despite long days, I find myself staying up late doing non-work related reading even though I know the best thing to do is just go to sleep. This cycle continues until I crash inevitability one evening from exhaustion. I’m also an early riser. My version of sleeping in is 8am if I’m lucky. Studies show that not getting enough sleep is detrimental to our health. It can alter our mood, immune system, increase our risk of diabetes and obesity just to name a few side effects. I use turmeric at least once a day, sometimes twice. I definitely notice that I sleep better when I’m using it regularly. In the morning, I drink a hot meyer lemon and turmeric tea. Once in a while, I’ll also add in 1 tablespoon of fresh crushed ginger too. I use a wide blade knife to flatten the ginger. You can add a sweetener if you’d like (turmeric is a little bitter), but I drink it as is. 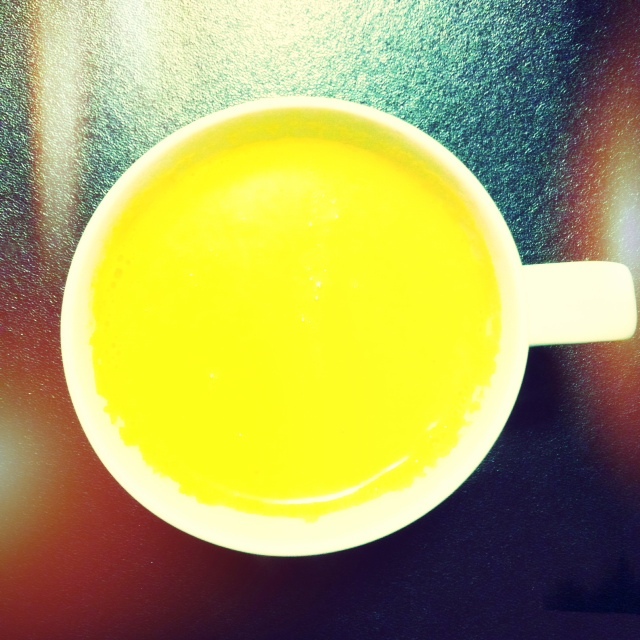 In the evening, a warm cup of golden yellow turmeric milk is soothing and helps me sleep soundly through the night. In a small pot, bring almond milk to a boil, turn off the heat and whisk in turmeric, cardamom and raw honey. Sometimes I like adding 1/8 teaspoon of vanilla. You can substitute the milk of your choice and adjust the amount and type of sweetener used such as agave, stevia, raw cane sugar, coconut sugar, maple etc. It’s both calming and anti-inflammatory. I’d love to hear what you think about turmeric. I wondered do you have to mix the tumeric with lemon etc. Can you mix it with ordinary tea. Hello! You can experiment and mix tumeric with teas, but it has a very distinctive taste that can taste bitter. We’d love to know how it tastes with tea if you try it! Cheers! I just tried my first dose of turmeric. I was given it from a friend, I had severe joint pain, and could hardly walk. I tried 1 capsule and within an 1 1/2 hours I was pain free, Shocking to me because I have been other oils and spices. This is the first day after taking one capsule, I took one more capsule this morning and I have been sleeping all morning, I have been so sleep deprived, what a wonderful day. I will now take them at night. Thanks for you site, it has given me lots of information. I have inflammation. If I take 2 turmeric capsules in gel capsule form from drug store, over the counter, at bedtime, I sleep without tossing and turning. Sleep soundly. if not I toss and turn throughout the night and wake up tired.. It doesn’t make me go to sleep but does help to sleep soundly once I’m asleep. That’s great! Glad to hear turmeric is helping you sleep better. Fantastic! Everyone’s body can react differently. I’m so glad to hear turmeric is helping you sleep better and feel relief from pain. Keep it up! Oh Turmeric, what a gem. Like many I am sure it does not put me to sleep but oh what a sleep I have when I do take it. LOVE IT, it’s a healthy drink, beside putting you into a deep sleep, soundly and quiet, I find less moving all night, it heals any pains, makes you feel great in morning. I’ve learned that turmeric is good for sleep, but take it in the morning and it works in reverse, “energy. : What I do at night and in morning is take a half tea spoon of turmeric, squeeze half a lemon, and I MUST add black pepper – black pepper is like a chemical reaction when it comes into contact with turmeric or vise versa, by all means grind black pepper into the drink. Also, I add a little stevia into the drink – 2 drops.